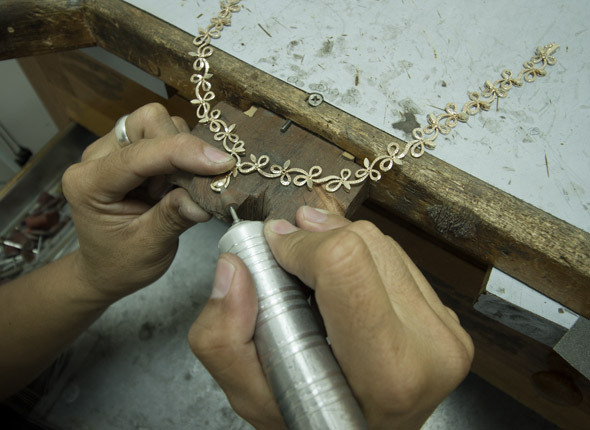 Diana Jewellery is a family business with over 50 years’ experience in fine jewellery manufacturing both in the United States and Middle East. Now based in Dubai, our company combines three generations of industry knowledge and expertise along with handwork and the precision of high-tech machinery to create beautifully finished jewellery. Initially established as a wholesale business, we have recognised our niche capabilities of custom design and have since opened our doors to the public. With this set-up, we give clients the opportunity to create designer pieces at affordable prices sans the middleman markup. Our jewellery is made using the combination of handwork and machinery, including 3D designing and printing, and is carefully inspected to guarantee stone security and the highest standards of workmanship. At Diana Jewellery, we enable you to shop online or even create your very own item through our personalised service wherein you can deal directly with our team of jewellery specialists. High ethical standards and transparency are at the forefront of our business and are evident in all aspects of our work, from ensuring the sourcing of conflict free diamonds to offering unbiased advice.